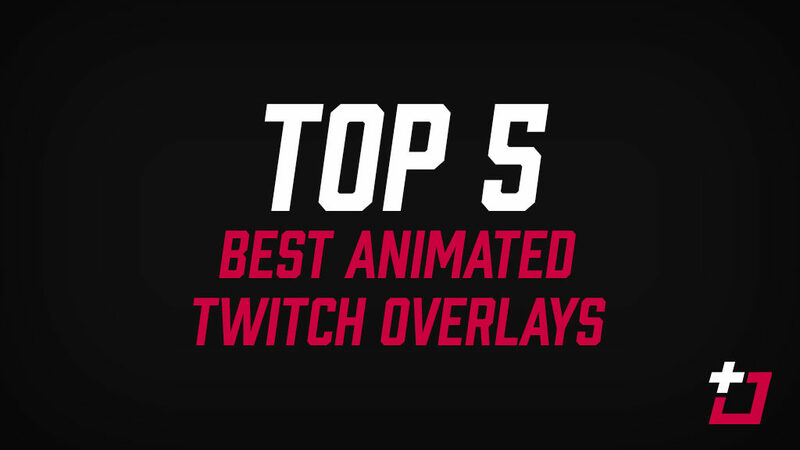 This list of the top 5 best animated Twitch overlays has been compiled for any folks out there looking to step their visual style up a notch. Animated stream overlay elements can give a sense of energy to your visual identity, even add some professionalism, so check out the below and see if anything clicks with you. VX Pro is a standout success on the site. This animated Twitch overlay comes in a range of colours (red, blue, and green), and the minimal yet lively style has really struck a chord with streamers, making it one of the most popular of 2018. Electric Slate Evo is a neat, professional animated stream overlay which again offers a minimal finish, but this time in more demure colours. Its standout feature is the ability to layer alerts between your webcam and the webcam frame provided, integrating everything into a close space and freeing up more room for gameplay. DZDC is an animated stream overlay designed with The Division 2 in mind, but certainly usable for just about anything. It features a running theme of fire and elements ablaze, so if you’re looking to bring a little heat to your stream it’s a solid choice. Simple Chroma is, as the name suggests, simply a chroma (or RGB) animated Twitch overlay. The rise of RGB keyboards, mice, and lighting has been meteoric within gaming, so why not throw an overlay into the mix to compliment it all! Gold Leaf is admittedly somewhat slept on here at TwitchOverlay.com, it’s an animated Twitch overlay with a very bold style. Beyond the statement making header, everything’s outfitted with a pretty decadent looking gold trim.